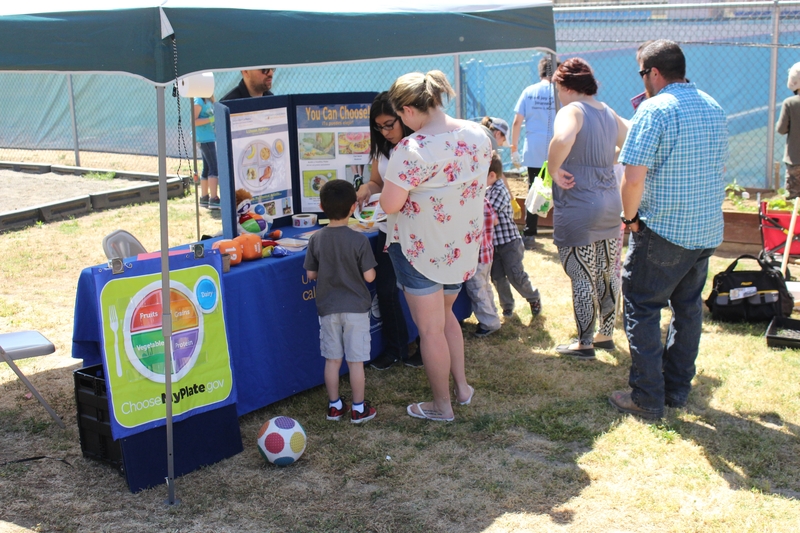 On Saturday, April 29th, UC CalFresh attended Coalinga's Week of the Young Child Event at the West Hills College Child Development Center to honor the center's students and their families. 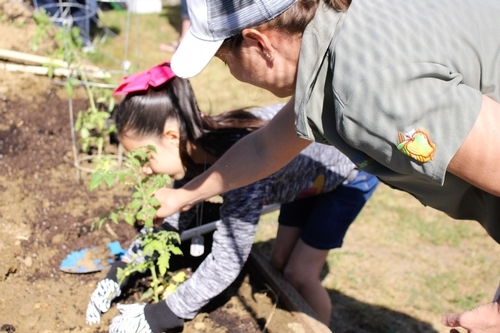 With various vendors in attendance, families had the opportunity to enjoy many activities, including a petting zoo, a silent auction, a book fair, a gardening opportunity, and so much more! Children and parents learn about MyPlate before they start gardening. 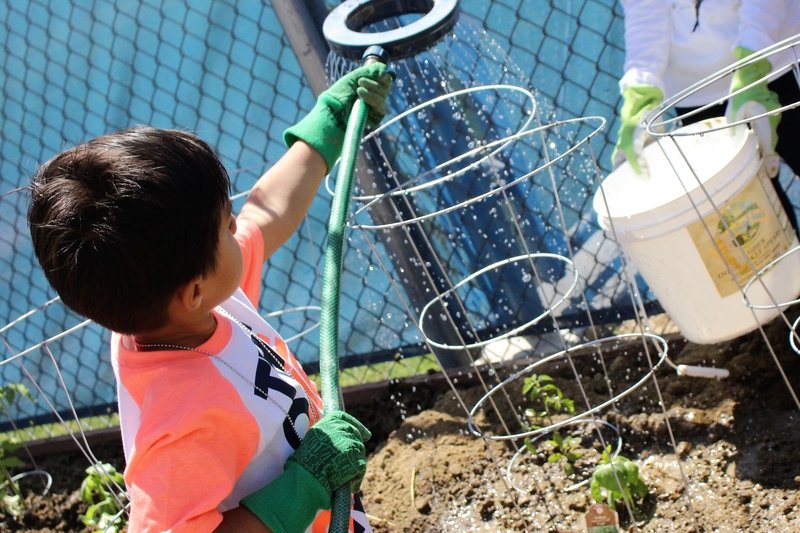 Our UC CalFresh team provided nutrition education, physical activity and some gardening fun for the students and their parents. 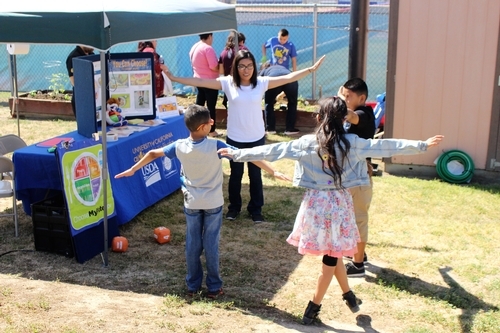 Nutrition Educator, Elizabeth, leads a group of students in physical activity. 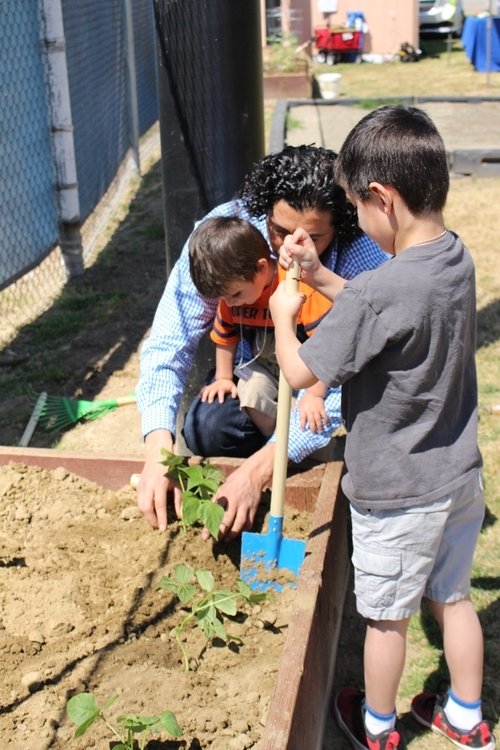 The highlight of the event was bringing the garden beds at the Child Development Center back to life. Students planted tomatoes, cucumbers, basil, cilantro, peppers, bush beans and strawberries. 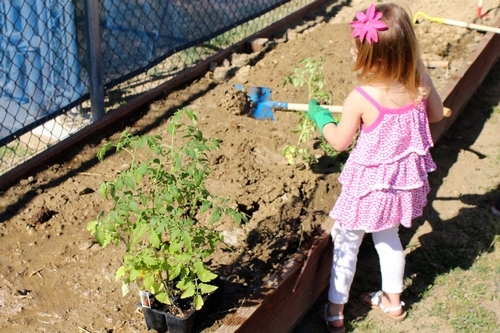 Two little guys take part in gardening with their dad. Children of all ages enjoyed filling two garden boxes with plants! 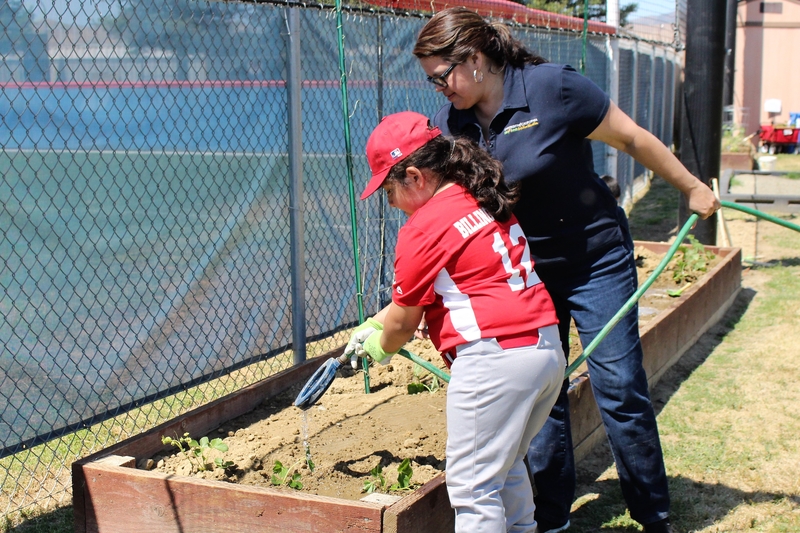 Nutrition Program Coordinator, Kristi, helps a student plant a tomato plant. 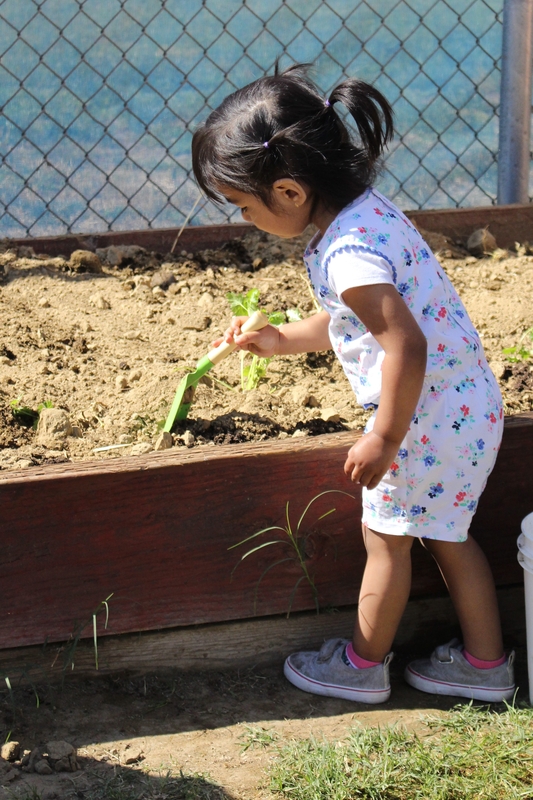 Each child played a part in the gardening, and they immediately took full ownership of their work. 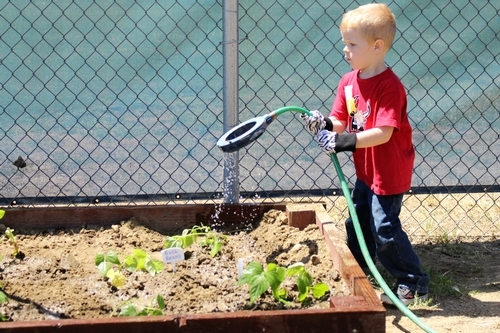 When the planting was complete, several children revisited the garden to assist with watering. One of our little friends makes sure to water his plants before he heads home. Nutrition Program Coordinator, Nancy, helps students with watering. The Week of the Young Child Event in Coalinga turned out to be a huge success! Our team can't wait to see how the garden grows over the summer. 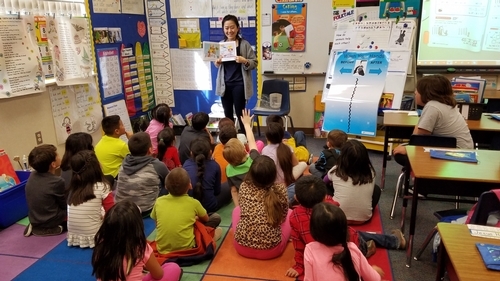 Fresno and Madera Counties' UC CalFresh Nutrition Education Program has a long standing partnership with the Fresno State Dietetic Internship Program. This blog post is part of our Intern Reflections Series. 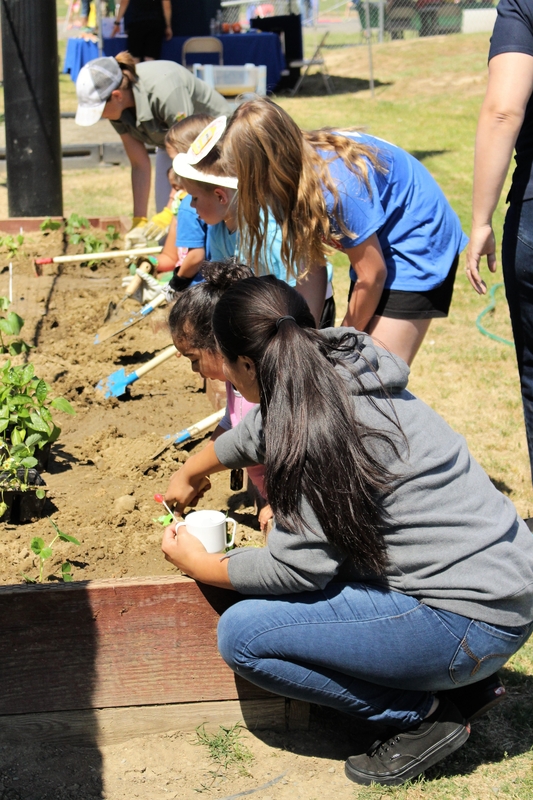 Before interning at UC Cooperative Extension, I never thought about how important health education is to a community. 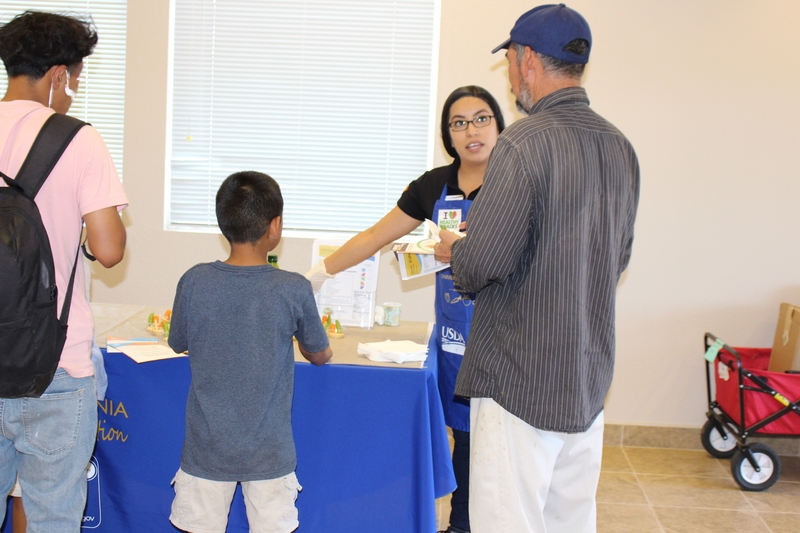 During this fun rotation, I had the opportunity to participate in both the adult and youth nutrition education programs at UC CalFresh. The classes deliver healthy eating and living concepts through interesting stories, pictures, cooking demonstrations, food tastings, simple physical activities and fun games and activities. UC CalFresh also gives out colorful and easy-to-read nutrition handouts, healthy recipe books, and cooking and measuring tools for people to stay healthy. 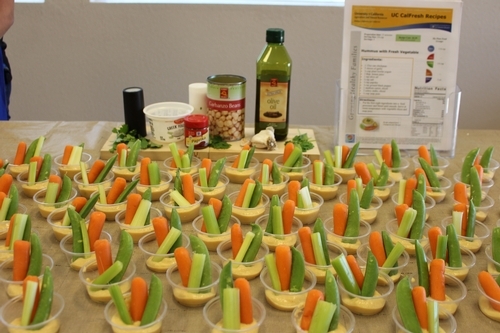 All the nutrition classes greatly emphasize eating according to MyPlate, consuming proper portion sizes, and getting adequate physical activity. It was such a rewarding moment for me to see the smiling faces of my kindergarten and first grade “audience” while I read them a nutrition storybook. 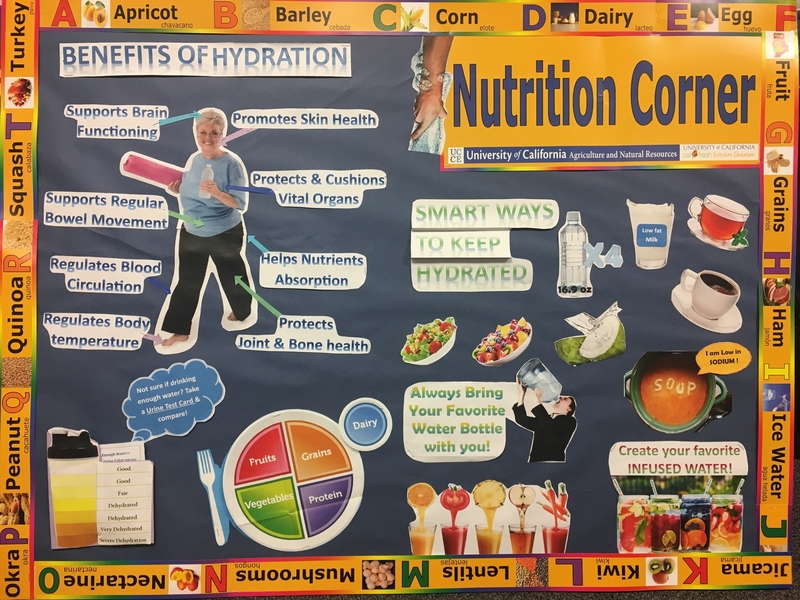 Another fun project I enjoyed a lot was creating a “Nutrition Corner.” The theme of my corner was “Proper Hydration,” targeting the senior population. The information displayed on the corner will help them to understand the importance of proper hydration and provide ways to help them stay hydrated every day. It took me a while to create a cohesive message, but I felt that my hard work paid off when the final product was complete. Overall, the UC CalFresh team taught me many things through projects, assignments, and fun activities. From my two weeks at UCCE, I observed the community's need for nutrition information, the participants' appreciation of the classes that UC CalFresh offers and the changes people are making thanks to UC CalFresh's efforts. I am very thankful I could be a part of these meaningful moments. Storey Elementary's new Nutrition Corner emphasizes physical activity just in time for those New Year's Resolutions! 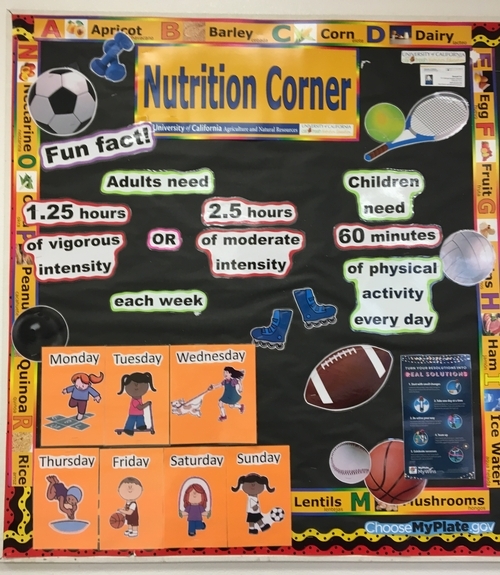 The Nutrition Corner is featured in the staff lounge, reminding teachers that physical activity is important for their students and themselves. Getting enough exercise can seem daunting, but it is possible. Try breaking up the time throughout the day, such as walking around the office during your breaks and playing outside with your kids after work. Whether it's playing sports, running around the block with a friend, or walking the dog, find a way to do some physical activity today! Remember - adults need 2 and a half hours of moderate intensity physical activity every week and children need 1 hour per day! How will you (and your kiddos!) meet those recommendations in 2017? Nutrition Corners are a great way to reinforce nutrition education at your school. If you're interested in adding one to your classroom, contact your nutrition educator. 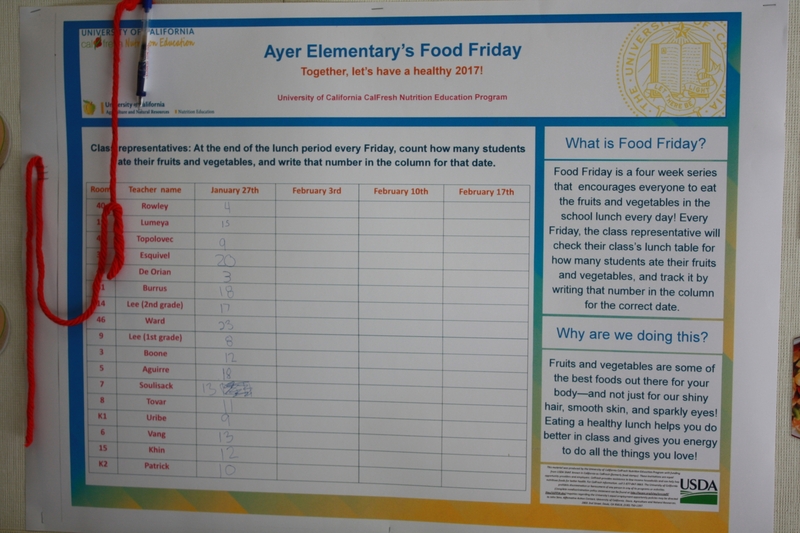 Food Friday at Ayer Elementary! Last week Ayer Elementary School kicked off their four week Food Friday campaign, which encourages students to eat the fruits and vegetables provided in the school lunch. Now through February 17th, classes enrolled in the UC CalFresh Nutrition Education Program will be counting how many students eat their fruits and vegetables, and tracking it using the cafeteria's new Nutrition Corner poster pictured below. 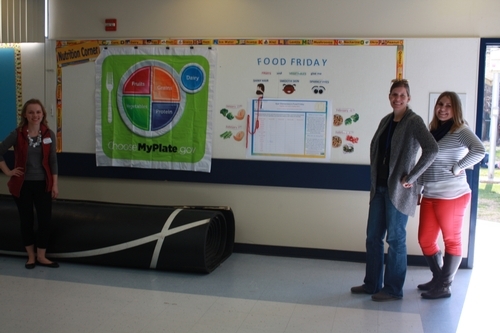 Check out UC CalFresh team members Brittanny, Emily, and Hannah with Ayer's new cafeteria Nutrition Corner! 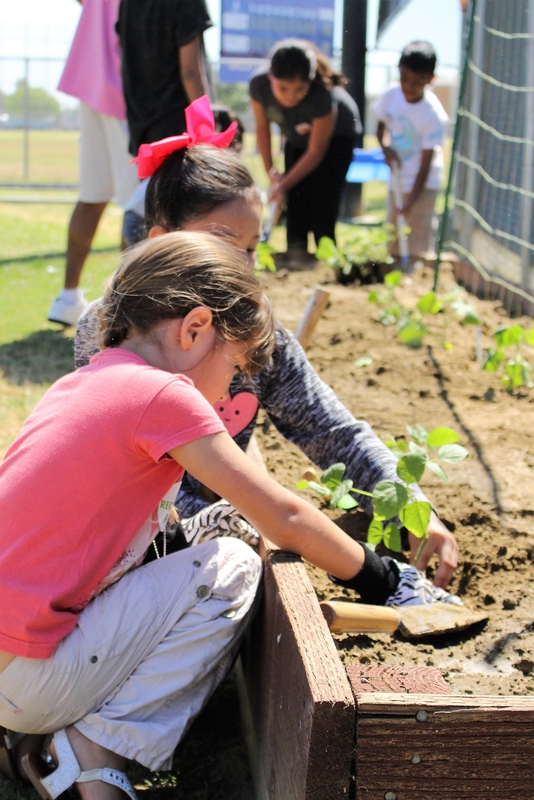 It shows how many students ate their fruits and vegetables, the benefits of eating those foods, and what will be in the school lunch on Food Fridays. Brittanny and Hannah passing out kiwis - yum! 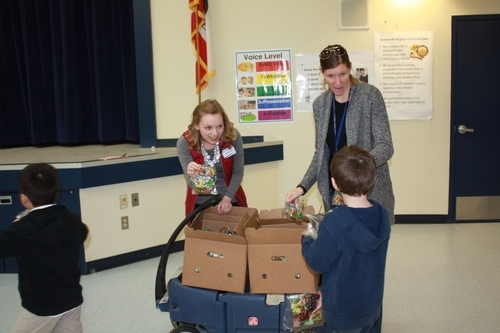 A total of 215 students ate their fruits and vegetables on the first Food Friday! They're off to a great start and hopefully those numbers will continue to go up! 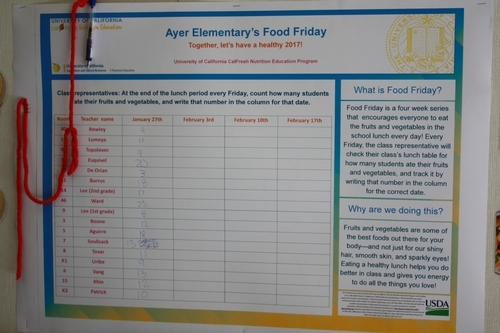 Be sure to check back for updates on Ayer's Food Friday!